The endless flow of creativity is in each of us. 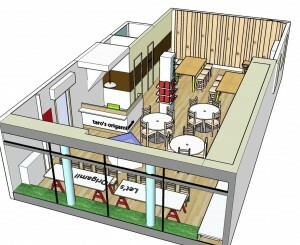 Our mission is to create an environment where freedom of expression is encouraged through origami folding. 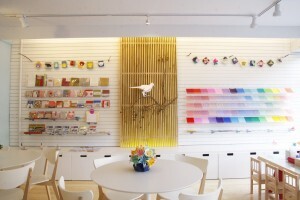 Each Taro’s Origami Studio is a space dedicated to the art and expression of origami folding. By folding origami one at a time with focus and care, one can enjoy the beauty of the process itself while your creativity is expressed from a sheet of paper to something completely new. 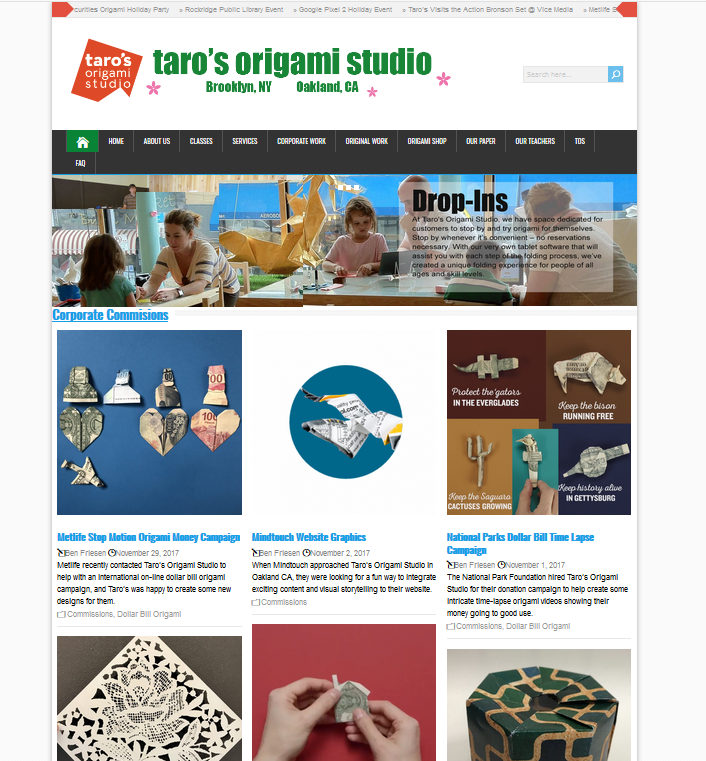 Taro’s Origami Studio offers hands-on corners, classes, and workshops for all levels of children and adults. Taro’s Origami Studio expands upon the traditional art of Japanese culture by creating new platforms that utilize touchscreen based origami software. 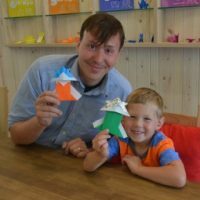 We also offer party packages so that origami can be enjoyed as a group, allowing this art to be shared in a special moment and time. Our vision is to make origami accessible for new and experienced folders alike. Taro Yaguchi’s love for paper developed as a child growing up in Japan. His grandfather was involved with the business of washi, traditional Japanese paper. How a plant could be transformed into a shiny, thin yet strong fiber captivated Taro. His respect for paper, plants, and nature grew, which in turn grew into his love for folding origami. 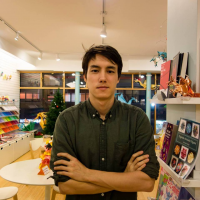 Instead of following his grandfather’s footsteps in his career, Taro pursued his study at Tokyo University of Science with a degree in Mechanical Engineering. He currently runs a multinational patent law firm with offices in the U.S. and Japan. It seemed that his path was drifting away from paper. However, his interest in origami was sparked again in 2001 when he decided to exhibit at an inventor’s convention. He needed an eye-catching novelty gift for his booth. He came up with a simple paper airplane design with his firm’s information on one side and an aircraft design on the other. The idea was a hit, and soon people were stopping by his booth and grabbing three to four sheets of origami at a time. Word spread, and staff at the conference were also stopping by to ask for his design. That was when Taro realized he may have hit on something exciting. If a simple paper airplane can generate so much interest, why not recreate his original airplane with more realism and details? His childhood memory of origami folding and the smell of his grandfather’s washi factory came back. He started experimenting with different folding techniques and designs. 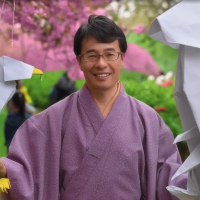 The monthly flights Taro made between the U.S. and Japan as he served clients in the patent industry became his time for meditative origami artistry. 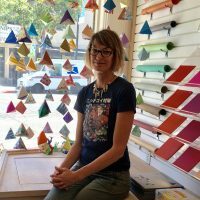 “How can I share the joy of origami culture with millions of people around the globe? 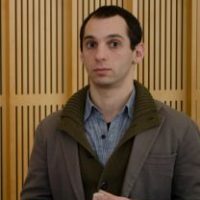 How can I make it more accessible to everyone?” Soon, he came up with the idea of unique, pre-printed sheets of graphic origami. He initially created and copyrighted graphic origami forms for commercial aircraft, trucks, cars and other modes of transportation. 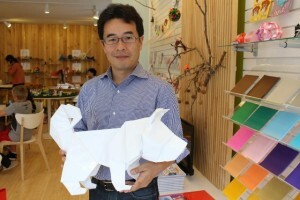 Since then, Taro was able to publish his origami books and collaborate with corporations such as TOYOTA in origami artwork. 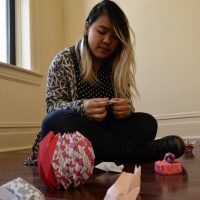 Due to the demand for workshops and origami parties, Taro opened his first studio in Park Slope, Brooklyn, NY, and has further expanded to Oakland, CA. Plugins your themes with even more features.